A 20 minute spoken word performance inspired by the composer John Cage. 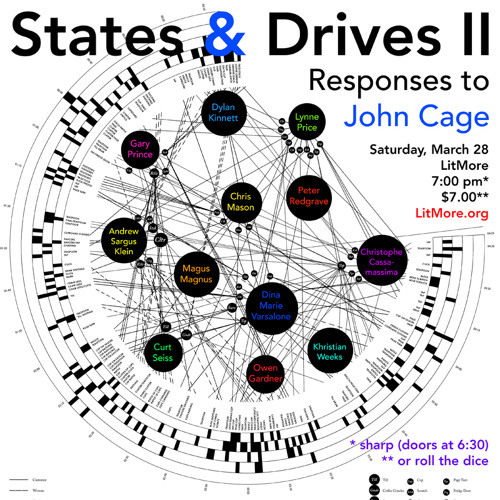 Performed at States & Drives II on March 28, 2015. Words by Dylan Kinnett. Music by Curt Seiss. Special thanks to Paul Mericle.